All-in-one digital microscopes have a computer interface built-in to the device. 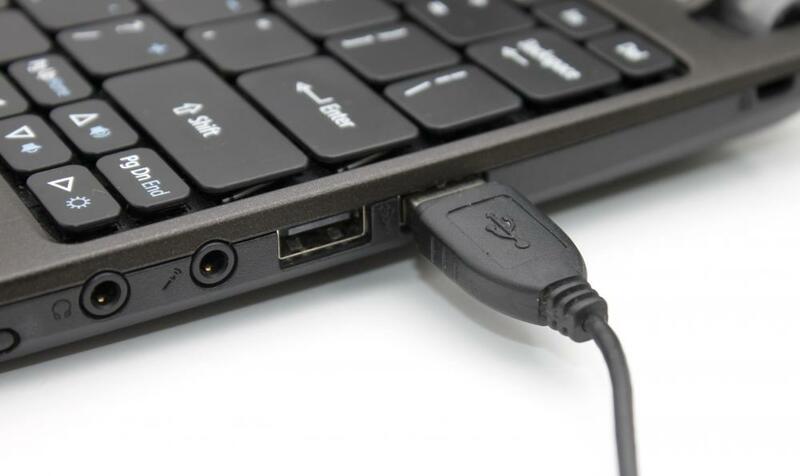 Digital microscopes can be connected to computers with USB cables. A PC microscope, also known as a digital microscope, is a device that magnifies objects much like a traditional microscope, but connects to a computer via a hardware connection for display on a computer monitor. This allows those who do not like using a traditional eyepiece to have a second option and also allows for viewing by multiple people at the same time. The magnification is determined by the different models of microscopes, and, though it may be possible to digitally zoom in to enlarge an image, the optical piece is the most important part of the magnification process. The PC microscope is useful in teaching classes in microbiology because it allows the image in the microscope to be displayed in full view of an entire class. Therefore, teachers do not need to rely on images from a textbook, but are able to adequately show what students may find using a real-world example. This is helpful if there may be some ambiguity in the objects being described or sought. These microscopes often include the traditional eyepiece as well. The software associated with a PC microscope may enable more than just a display on a computer monitor. For example, the computer software may allow for snapshots or even video to be taken. This is a good way to review materials and see if the first observations and analysis were accurate. If there is a question about something that is discovered, this also allows for that image to be preserved until a more experienced individual can examine the image and provide input. Such preservation is especially important if the image is of a material that may rapidly change states or decay. 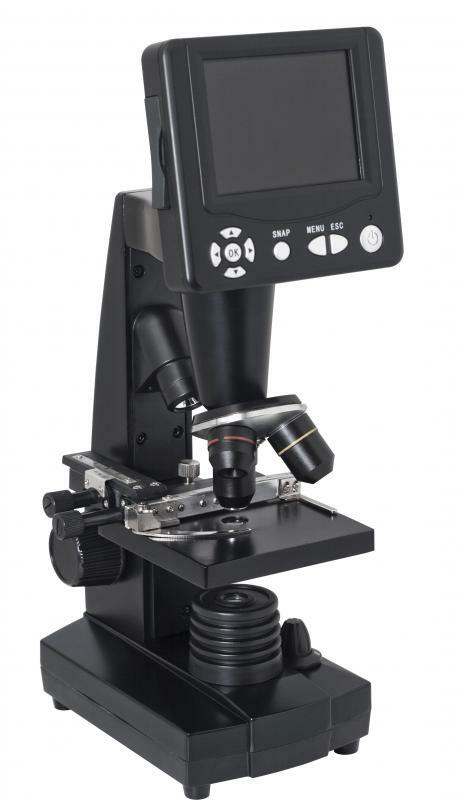 As with many other types of microscopes, a PC microscope can be purchased in a variety of price ranges. Some are truly meant as novelties for children to experiment and learn with. These microscopes may come with limited features and not perform all the functions needed in a scientific or medical environment. Professional models will likely magnify objects to an even greater extent and show those objects at a higher resolution. Standard components with a PC microscope often include a wired connection, such as a USB cord and some starter software, the quality of which is often determined by the price and model of the unit. This software should include all the drivers needed, as well as some type of display interface. It may also be possible to purchase add-on software that may provide even more features for the microscope, such as the video recording features previously mentioned. What is a Traveling Microscope? What is a Trinocular Microscope? How do I Choose the Best Microscope Set?